Closeouts. 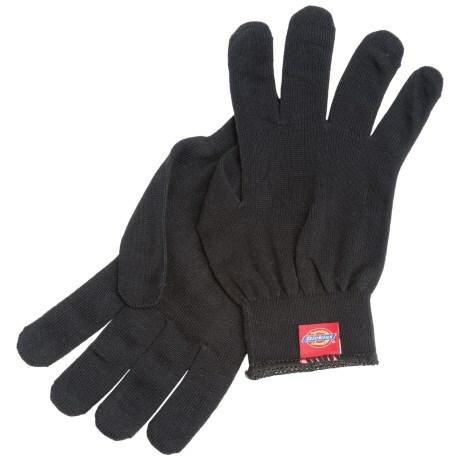 Dickies Water-Resistant Machine Knit gloves have a water-repellent treatment that deflects moisture to keep your hands dry. The soft cotton knit keeps your hands warm and offers light protection.